Have you ever dreamt to move to Italy? This city of over 1.3million people has a lot to offer. Milan is unique and marvelous, a metropolis at a fast pace where creativity is part of a large market. In no other Italian city does the fashion world have as much importance as in Milan. No doubt is that Milan is cheaper for the cost of living than London. If you move to Milan, you will find that public transport costs are fairly low and that you can choose to use trains, trams, buses and subways to get around. The Milan underground map and information brochure can help you. Car insurance can be expensive, but the city offers excellent bike and car sharing services, which also help to reduce environmental pollution. More and more it is possible to walk and visit Milan in a single day, especially because of the pedestrian islands that are constantly built The dock and the area of the Navigli, on foot are very comfortable and both in winter and summer immerse yourself in the Parco Sempione passing from the Castello Sforzesco to the Arco della Pace, is a spectacle. More intimate and romantic is a walk in the Brera district, among narrow streets curiously populated by fortune-tellers and fashionable Milanese, while some painters perform their works of painting. To explore the historic centre of Milan, which is not so vast, the best way to do so is to walk around the city, sifting through streets and squares without haste, and walking through the most famous touristic spots like the Duomo with its grandiose square; the Palazzo Reale; the Galleria Vittorio Emanuele II and the Teatro alla Scala; the Pinacoteca di Brera; the Castello Sforzesco; the Basilicas of Sant’Ambrogio and last but not least: the Santa Maria delle Grazie church where you can visit Leonardo Da Vinci’s masterpiece “The last supper”. Milan is a city in the process of depollution and therefore personal vehicles are strongly discouraged, if not even penalized in favor of completely environmentally friendly bicycles. In this respect, the municipality makes public bicycles available to all through so-called “bike sharing”. It is possible to subscribe to a monthly or annual subscription at ATMs, allowing access to more than 1500 bicycles to complement the public transport service. High-speed trains, flights and motorways ensure good connections with other countries and other major Italian cities. When you live in Milan you are only 45 minutes from Lake Como, Lake Garda and Lake Maggiore. It is also possible to visit the beautiful Ligurian coast or ski in the Alps. The city of Milan is a wonderful place for shopping, visiting museums and parks. 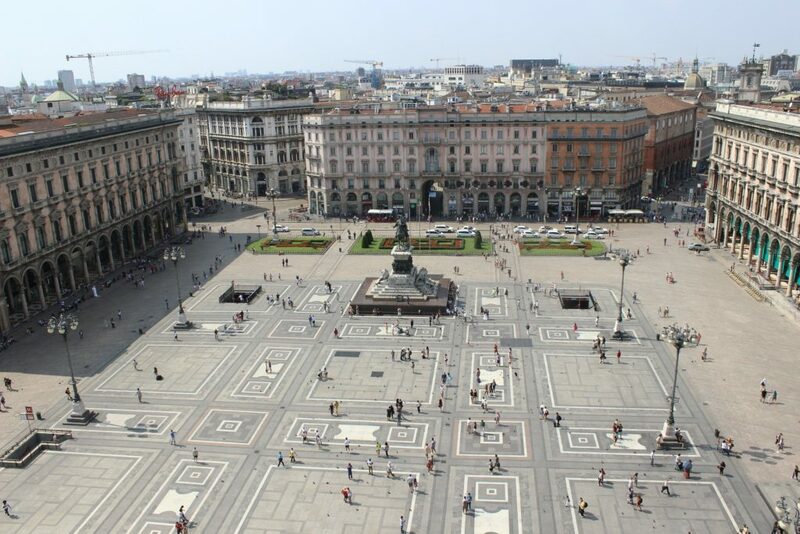 You can discover the activities to do during your free time in Milan on turismo.milan.it. If you arrive in the city to go to visit Milan in a day, or returning home, we want to take a look at its surroundings, there are three fascinating destinations because to happen in Milan without being aware of touching them, it would be a shame. One is the Abbey of Chiaravalle, always within the city limits, and then there is another Abbey, that of Viboldone, near San Giuliano Milanese, one of the most important medieval complexes in Lombardy. Further away, but if you arrive from that direction, do not miss the Taccani hydroelectric plant in Trezzo sull’Adda, historical and interesting. For those who are not willing to customize their itineraries and are lazy in their establishment, can take advantage of the modern and colorful buses of Lombardy City Sightseeing, complete with drivers and hostesses in uniform, disposable earphones and commentary in eight languages. Let’s Move to Buy the Best Travel Bag! To travel is to give a new life to our boring schedule, and whether it is travelling for fun or for some business, it always proves to be one of the most admired modes of getting relaxed. When we plan to get out of our comfort zone or daily routine, we need to make a lot of arrangements. These arrangements include packing the stuff that we might need throughout the days we are away from home, this calls for a uniquely stylish travel bag that makes utmost comfort possible while always keeping luxury by your side. Now, what we are here for? Yes, we know you are thinking this! Well, we are here reading this article to let you know about how to find the best travel bag that fits in all travel purposes. Factors that majorly contribute as parameters to find the best travel bag! Well, a lot of options might prove to be worthy for your needs. Another fact, depending on different travel requirements, different bags may fit in the purpose efficiently. To keep your requirements in consideration is your responsibility, and through the points mentioned below, we will let you find the best bag amongst the whole lot. Dimensions- Some of us might be short time travellers, but the frequent ones, while others might be planning to travel for months. In both of these cases the external dimensions of the bag must be chosen accordingly. Based on your requirements, choose a bag which fits in your purpose efficiently well. Thus, look out into the dimensions of the bag, and make comparisons amongst the various choices. Ease of mobility– The luggage designers today have come up with really smart and expedient designs that not only let the travellers have enough storage space, but also the designs are made to let carriage be easy and comfortable. Focus on the ease of carrying and chose accordingly. A bag with wheels and comfortable handles doesn’t puts much load on your hands, thus providing you excessive comfort and space. Weight– Light weight bags are leading the market, reason being the ease of carriage and mobility plus comfort. Check on the weight of the bag, for which you are paying as asked for. Space efficiency and expandability– The best travel bag comes with enough space, where expandability options are also availed. This makes it dual purpose, where if you are travelling for a short span of time you can use the contracted version, while for the other case, the expanded area can be used for storage. These features reveal the efficiency of a bag, and you should be aware enough to take these in consideration and decide your choice accordingly. Material– Water-proof, easy to clean, color perfect, and other similar factors need to be focused on. The material of the bag says a lot about its quality and durability. With new choices in market you have a lot to explore, but you should be aware about the features and specialities of different luggage materials. Check the reviews about this, and go for an option that has the most positive reviews. Cost– The cost comes as the concluding factor and is one of the most important one. You should know the worth of what you are buying, and thus the cost be paid for what it’s worth for. Decent quality will definitely cost more, but yes, it should be decent quality. Thus, if you are considering all the factors mentioned above, you are all set to make the smart buy move. To buy the best travel bag you can consider options online and offline, wait for the best deals and offers, this can bring immense buying benefits. You are through with your passport renewal, luggage packed and flight tickets in your hand. You are already boiling with excitement, ready to go on that trip you have been planning for years. At this time, the last thing on your mind is a travel emergency while you are in a foreign land. It is not the time to think about losing your passport, falling sick or getting into trouble with the law enforcers in another country. In as much as you desire to have a very smooth trip, sometimes emergencies do occur, and it is imperative to learn how to deal with them before they confront you. 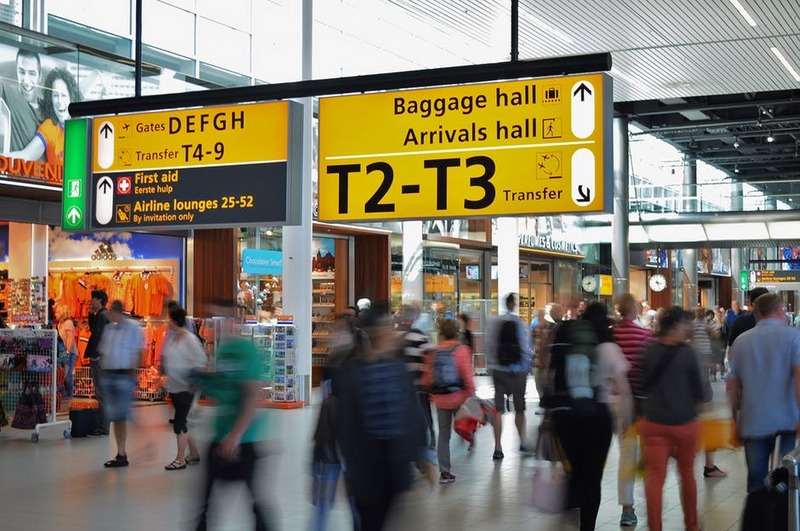 To help you out, we take a look at the top travel emergencies encountered by travelers all over the world and how you can deal with them each time they come your way. It can’t be emphasized enough that your passport should always be on your person every time you travel. It means that your passport should not get separated from your body. But even with that, lost passports is the number one emergency millions of travelers have to deal with annually. It can be very frustrating to lose your passport in a foreign land, but if it gets lost, you don’t have to panic. If you find yourself in such an unfortunate situation, report the loss to the nearest police station using your original identification cards or certified copies if you carried any. Once you report the incident, proceed to your consulate or embassy with the police report so that you can apply for an emergency travel document commonly known as Document of Identity. This is the document you will need to travel back home safely. You are ready for the trip, and you are sitting in the traffic wondering if you will make it to the airport, clear with the security and be in time for the boarding. But then, the traffic seems to be at a standstill, or there is an accident which will take time to clear, thus increasing the stakes for you missing your flight. 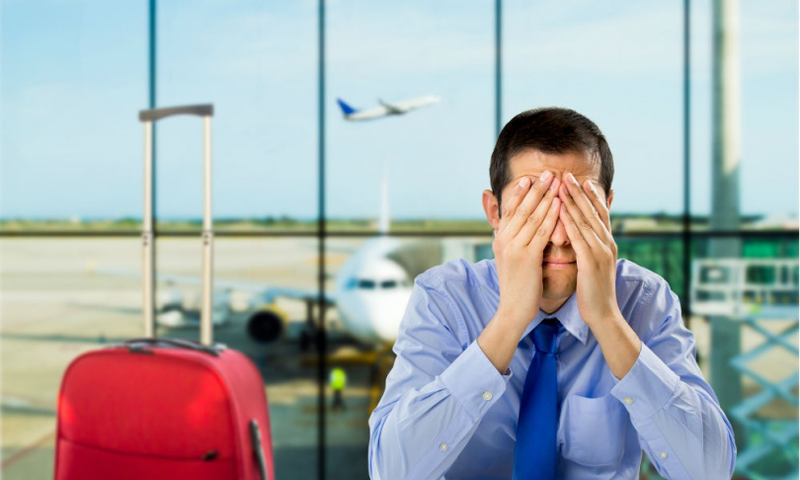 There are various ways you can handle such a travel emergency. The first would be to call the airline and let them know you may not make it in time. 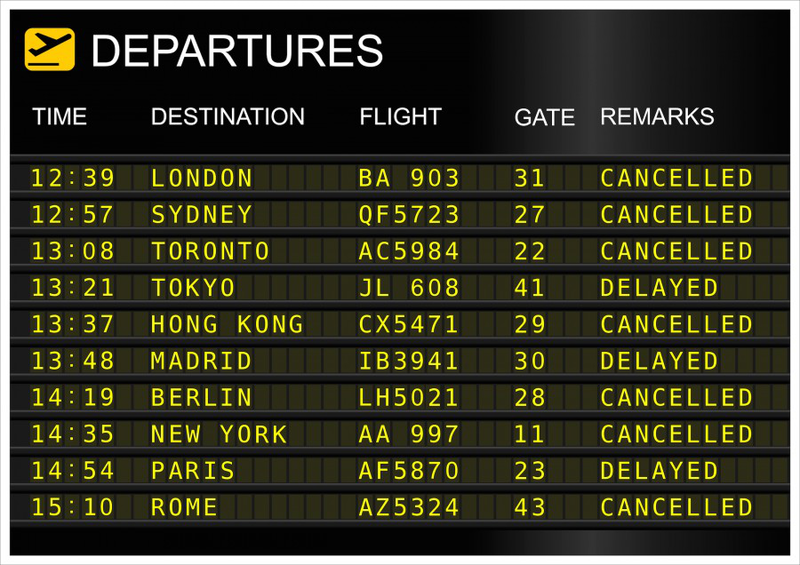 In such a case, it could be possible to reschedule your flight for an extra fee and fair adjustment. But if you don’t let them know, you may end up losing your entire fare. There are some airlines with unwritten “flat tire rule” which you can use to fly standby for the next flight, provided that you make it to the airport two hours before the departure time. 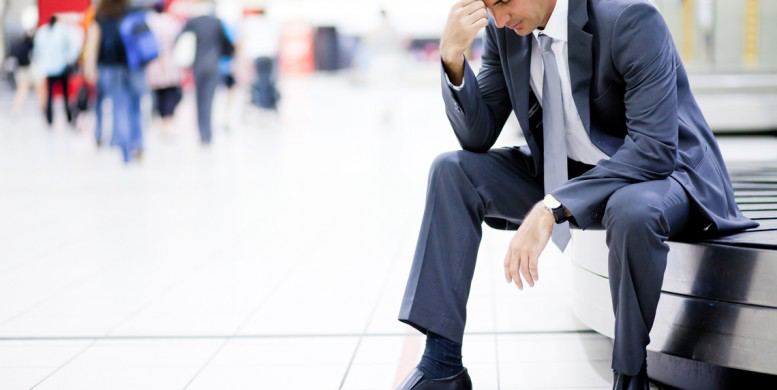 A canceled flight is entirely out of your control, and there is nothing you can do about it, except wait for the airline to resolve the issue and put you on the next flight to your destination. In most cases, the airline will take care of your extra expenses necessitated by the cancellation and these may include hotel or accommodation vouchers as well as transportation to and from the hotel and the airport. The duration of the cancellation will be dependent upon the reason for cancelation, and it may sometimes vary from a few hours to several hours or days. For instance, mechanical failure can lead to cancellation for a few hours while political turmoil in the destination country may make flight grounded indefinitely. The worst emergency you can expect while on foreign land is to get sick or sustain a severe injury. Depending on where the injury or sickness happens, quick action is vital for you to get the medical assistance you may require. If it happens in a hotel or at a tourist attraction center, get in touch with employees nearby so that they can direct you to the nearest hospital or clinic. You should also contact your insurance company about the necessary steps required to make a claim as soon as possible. If you are involved in a serious car accident, you should report the accident to police as soon as you are safe and able to do so. This should be followed by proper documentation, including snapshots of the identification cards of the involved drivers, damages to the cars, hospital bills and the actual medical report. It is also advisable that ones you are out of danger, you should get in touch with the car rental company whose vehicle got involved in the accident and your embassy or consulate to help you out with the administrative issues. 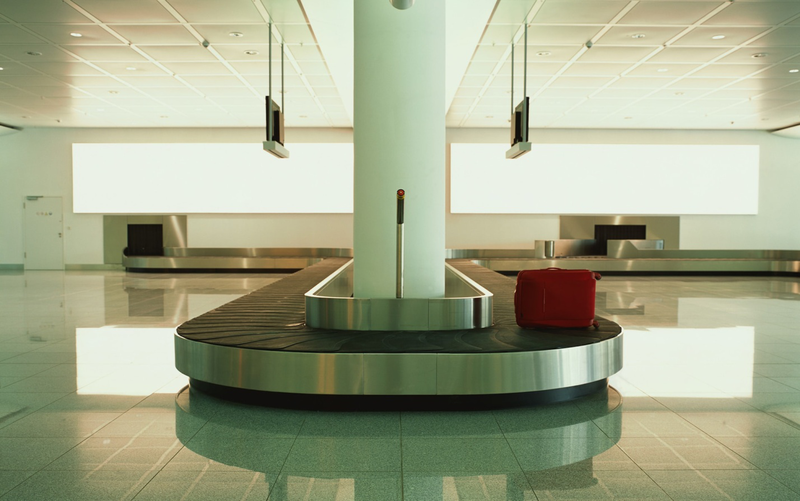 Losing luggage is a very common travel emergency, and it is one whose source can be traced back to the time of checking in the bag. Ideally, everyone should travel light, with just a carry-on bag, but this is not possible given the dynamic nature of flying, leading to increased cases of lost luggage. To begin with, you should consider having a distinctive luggage that will stand out from the rest, thus making it easily identifiable in case you are looking for it. You should also know the extent of the airline’s financially liability on lost luggage to get reimbursed should you lose your items. But most importantly, you will have a period of 24 hours to file a lost luggage claim. You will then leave your contact address with the airline so that you can be reunited with your luggage once it is located. You will most likely have your cards and cash in your wallet or purse and losing them can be very traumatizing. However, if that happens, the last thing you should do is panic since the longer you wait, the more time you allow the culprits to wreak havoc if they can do so. Of course, you may not get your money back, but for the cards, it is essential to call your bank immediately to report the loss and have the cards deactivated from carrying out any transactions. The bank will also advise on how you can have access to extra cash to use in the meantime. Meanwhile, you should report the loss to the police where you will file a report to help you with claiming from your insurance company any other valuable you may have lost. For many travelers, being able to save money and have the adventure of a lifetime on a budget is an important factor. 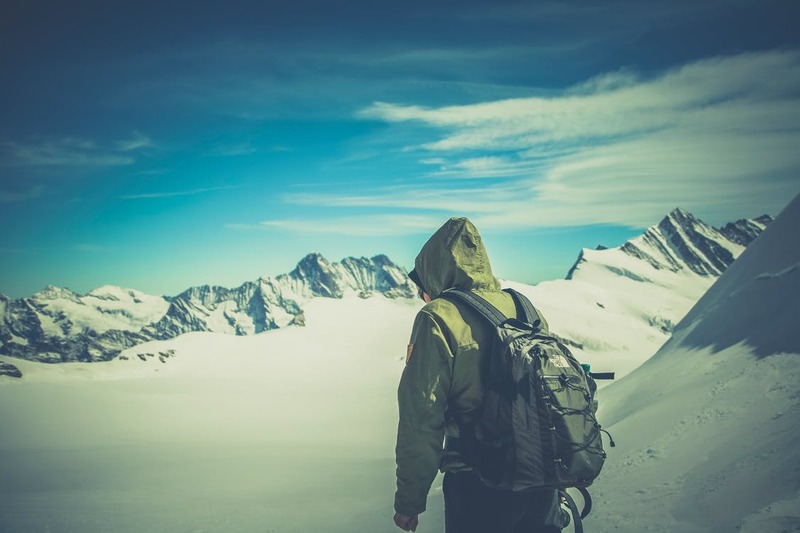 However, whilst there are several great methods of keeping costs down whilst you travel, such as choosing to travel to inexpensive countries, staying in self-catering accommodation, making your own food and using public transport to get around, there are certain aspects of your trip where you might find that it’s certainly worth paying more for your own safety and comfort. Here are some of the things that you don’t want to cut corners on whilst traveling. If you’re traveling and want to do something adventurous such as climbing Kilimanjaro, jumping out of a plane, white water rafting for the first time or another extreme sport, then it’s certainly worth splashing out a little extra money for a tour package and experienced guide. Bear in mind that cut-price tickets for these types of adventures can often be dangerous, especially in countries where this type of thing is not heavily regulated. Paying more for a safe and secure experience is always worth it; the last thing that you want to do is compromise your safety or risk your life. 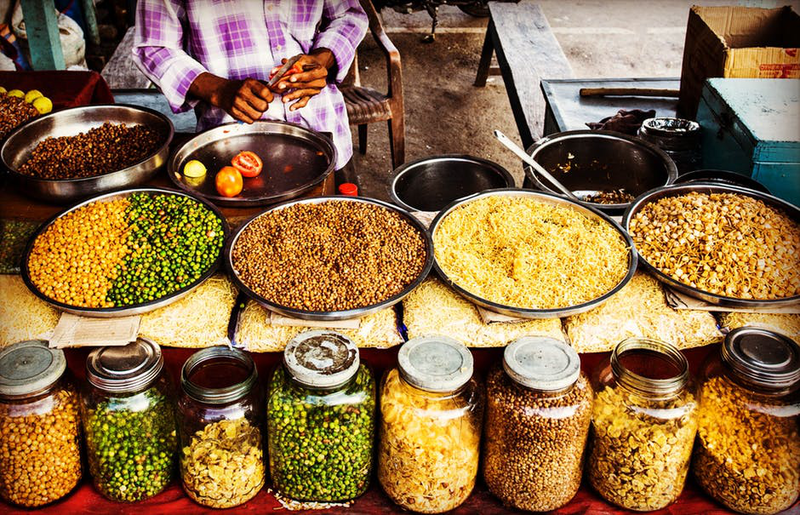 When it comes to buying food whilst you travel, being savvy about where you eat is important for staying healthy and well. Whilst street food vendors may offer great prices and food that looks and smells awesome, it’s worth erring on the side of caution when getting food off the street. For example, make sure that you can see the food being cooked at high temperatures and ensure that it is still hot when you buy it. If not, then it’s not worth the risk of getting food poisoning; spend a little more money at a well-established and reputable restaurant instead. If you are traveling in a hot climate, then the one thing that you really don’t want to skimp on is protection from the sun. Since using more sunscreen is always the better option, you might find yourself in a position where you need to stock up on more from a local store. Continuing to ensure that you are protected from the harmful UV rays of the sun is an essential whilst traveling, so make sure to invest in a high-quality brand and more than you need. Depending on where you are traveling, you might be at a higher risk of contracting mosquito-borne diseases, such as malaria. 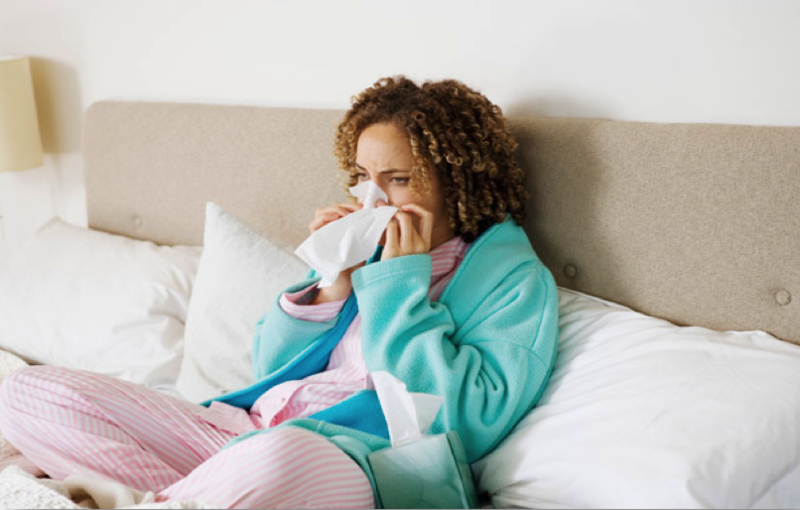 Ensuring that you are well-protected against bugs, insects, and mosquitos at all times is something that you should never cut corners on, as it could be the difference between you returning home healthy or unwell. Invest in a high-quality insect and mosquito repellent, mosquito tablets, and nets for the night time if needed. When traveling, there are various things that you can do to save money and cut costs. However, some things, such as your health and safety, are too precious to cut corners with. Travel Tips: Should You Fly or Drive to your Vacation Spot? There are countless considerations and decisions before taking your family on your next vacation. A fun, successful vacation may seem like a spontaneous event, but it requires weeks or months of planning, saving and preparing. You must decide on the best destination everyone will enjoy, how long to stay, where to stay, what to do and countless other factors within the larger overall picture. 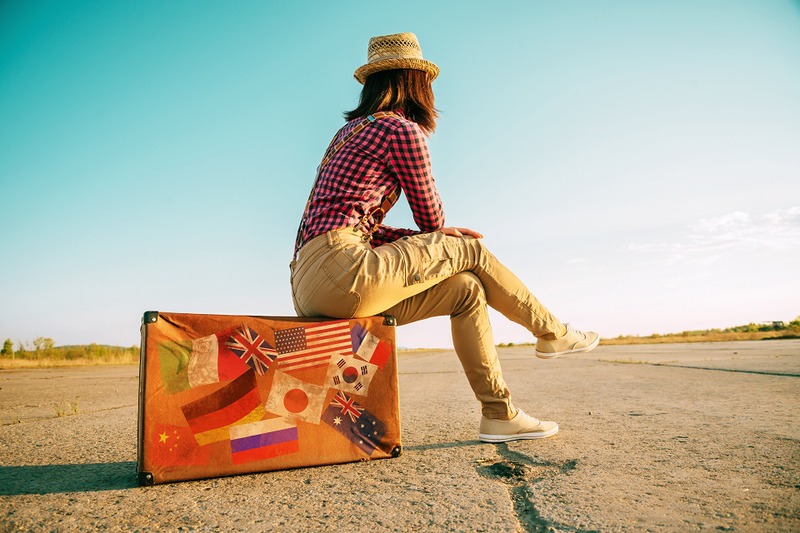 As you and your family begin preparation for the next trip, you will almost certainly begin to consider the same age-old question that has challenged travellers for decades: Should we fly or drive to our destination? Good arguments can be made for both sides, and the decision may be different for different families, depending on their specific needs and circumstances. To help you answer this question and get the most out of your next summer vacation, here are a few of the most important benefits for each mode of transportation. This option almost always has a lower initial cost than flying, and frugal families will be heavily influenced by this factor. Driving also presents a unique opportunity for a family road trip. When done correctly, these road trips can become just as exciting and memorable as the actual vacation destination. However, this is where you will need to seriously think about your individual situation. Will you truly enjoy the prospect of being in one car with your family for several hours? Are you still going to be in the mood for an all-day sightseeing tour after many hours in a vehicle? If your children are older, road trips can be a blast, but parents with young children can quickly regret this choice once carsickness, arguments and repeated Disney songs begin to take their toll. You will also need to consider the length of the trip when thinking of driving. Will you be able to reach your destination in one day of driving, or will it be necessary to stop for one or more nights at a hotel. Make sure you figure in lodging, gas and meals into your road trip budget, as these can quickly add up. You should also make sure your vehicle is in good order in terms of mechanical functioning, road legality and car insurance. The biggest benefits of flying over driving are immediately obvious and quite advantageous. You can reach your vacation destination in a fraction of the time, and with less headache. However, you will pay for this time and convenience, as airline tickets for an entire family will take a significant toll on your wallet. If you are only concerned with reaching your destination as quickly as possible, and you are not intrigued by the idea of a family road trip, flying will provide the best option if you are able to fit the cost into your budget. But the costs do not stop at the ticket price, as you must also consider the price of baggage fees, airport parking and a rental car upon arrival. These additional fees can actually be the deciding factor for frugally-minded travellers. 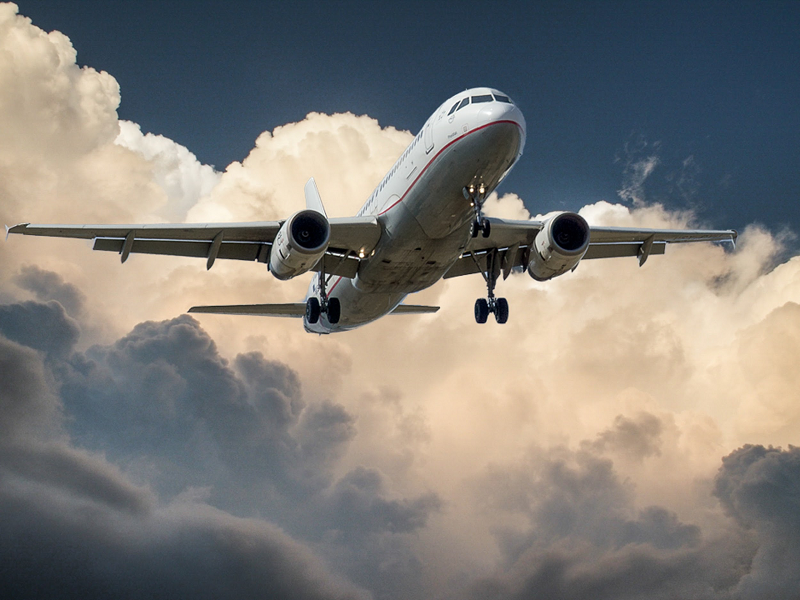 If you are uncertain about the overall cost difference, there are helpful travel calculators online that can help you estimate the difference of flying vs. driving. Another benefit is the fact that air travel is proven to be significantly safer than driving long distances. The National Safety Council estimates that the odds of accident in a motor vehicle at 1 in 98, as opposed to a 1 in 7,178 chance in air travel. In the end, the choice will depend upon your own specific needs. For those who are concerned mostly with the cost, driving will clearly be the best choice. Even with the cost of gas, lodging and meals, driving will allow you to reach your destination at a fraction of the cost of flying. It will also present you and your family the unique opportunity to bond on a memorable road trip. If the destination is more important than the journey, flying will be the best option– assuming it fits into your budget. Plane tickets, baggage fees, rental cars and other costs will add up, but there is simply no comparison for convenience and time-saving. 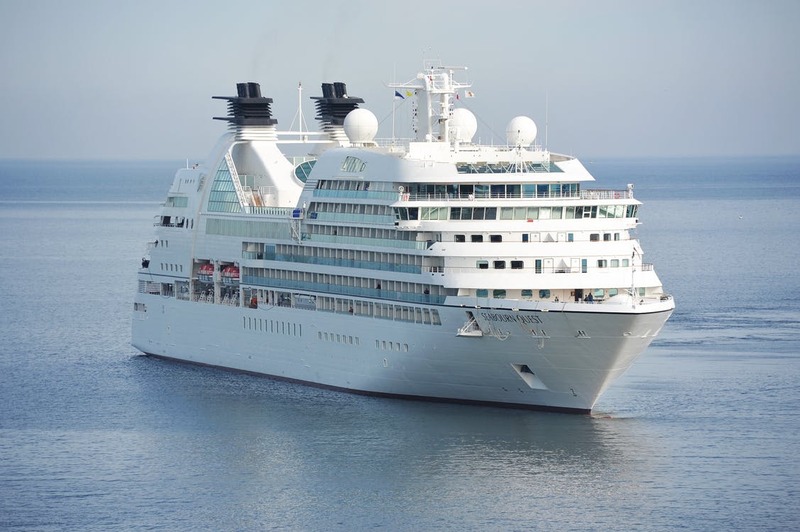 How Should You Pick A Great Cruise Line? If you want to go on a memorable cruise a very big part of the experience is going to be dictated by the cruise line you choose. There is definitely no shortage of options available at the moment with countless agencies offering trips all around the world. Obviously, some are going to be great while others will not be so suitable for your personal wishes and needs. At the end of the day you want to gain access to the best services for the money you pay, as with http://ultimatefishingcharters.com/. With this in mind, here are some really simple tips that are going to help you to achieve exactly that. Some time ago the only real way to get information about the services offered was to talk with friends or family members. Now we have access to the internet and people can so easily share the experience that they had with practically everyone. It is a shame not to take advantage of this opportunity. The large travel sites like Trip Advisor are the first ones that you want to look on. They allow users to share their experience and review different destinations and agencies. See if people were happy with what was offered and look for good inside information that will help you to decide whether or not the cruise line is a great choice. There is a very good possibility that there will be different cruise lines that will offer packages for the desired destination. That is why you need to get the deals from as many as you can. You will obviously focus just on those that fit your current budget but this does not mean you choose while only thinking about how much you are going to pay. What is very important in choosing a cruise line is receiving as much as possible for your dollars. You can only see if this is the case when you see exactly what is included. What you are interested in the most is the itinerary and the different stops that are included, together with the time spent at every single destination. This can easily shift your decision towards one cruise line over the next. The last thing that is highly recommended is to learn all that you can about the staff that will be around you as you are on the cruise. See how the cruise line handles employment and see if really good professionals are hired or if people without experience are employed. Such information is not always available but by using a Google search you can learn a lot about the people that are publicly presented. Take as much time as you can when you choose your cruise line so that you can get as much information as possible about the quality that is going to be offered. Do not blindly trust the marketing material that is presented since all cruise lines will say they are the best. It is normally better to trust past clients. If you do a lot of air travel, you know that going through airport security can take a lot of time. In fact, the time needed to check in, go through security and board the plane can be longer than the length of the flight itself. Since the start of a trip can define the mood for the entire journey, making this part of the trip enjoyable is definitely a must. 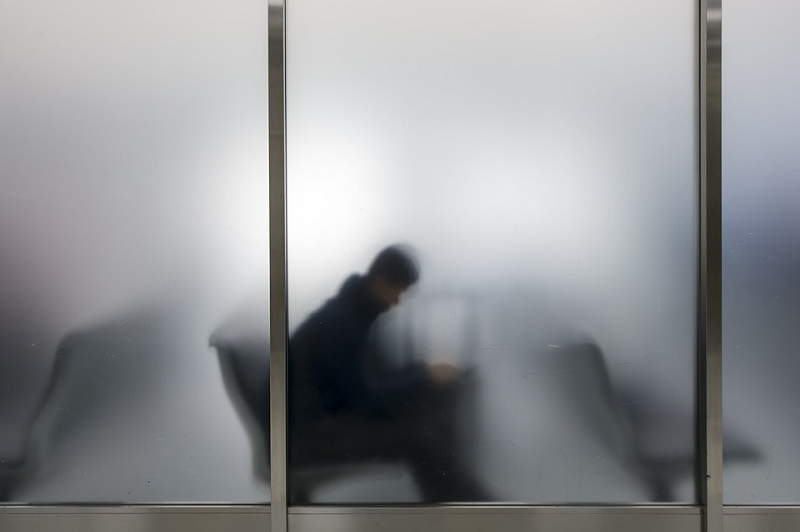 Over the years, I’ve developed a set of habits that helps make air travel more bearable. Here are the top three timesaving air travel tips you can add to your arsenal of travel tips and hacks. This is something I learned from actor and producer Michael David Palance. As a Hollywood producer, Michael’s job requires him to travel a lot. Signing up for pre-screening will help shave off the time needed to get through security. For those who travel often, the minutes you save are definitely worth the annual fee. There are several pre-screening programs to join. TSA Pre-check is a good program to join if you travel in the United States most of the time. The program allows you to get screened much more quickly, reducing the waiting time to no more than five minutes. There is also the Mobile Passport app, which is also handy for US travelers. These pre-screening programs allow you to clear security without the usual hassle of removing your shoes, opening your laptops, and taking off clothing items such as your jacket or belt. When you travel abroad and you’re returning to the United States, you can also use the mobile app to fill out and submit the US Customs form online. I always try to travel light whenever I can. There is a big advantage to gain from having only a carry-on bag with me. For starters, some airlines now allow passengers with no checked baggage to check in without waiting in line. There are also automated check-in machines to use at select airports, so you can save more time when traveling light. Even better, there is no need to wait at the baggage claim area at the end of the flight. You can just walk out of the airport with your carry-on bag and start your adventure right away. When you do have to bring extra baggage – such as when you’re bringing home souvenirs – it is actually faster and cheaper to ship your bags using FedEx or UPS. You save around 40 minutes just by choosing to ship your bags by courier. This also gives you the ability to worry less about getting your bags lost or damaged. Most courier services have extra insurance and additional packaging options you can use for maximum protection. You can still travel light and bring back souvenirs from exotic places. These are simple timesaving tips you can use on your next trip. They are easy to apply and will save you more than 60 minutes every time you travel on an airplane and have to go through airport security. Give them a try and you’ll never travel the old way again. This happened to me when I visited my old friend Jacob in Boston. Just before leaving the house to take me to the airport, he asked me if I had still been playing football for my college team. When I answered positive, he decided to make me a present. Jacob ran back into his room and returned with a football visor from hi high school years. “It’s a good brand”, he said, “so it would be a pity to throw it away or give elsewhere to unknown people at a yard sale”. During our way to the airport, I also found out that the visor had a very exciting history, and once it had saved my friend’s eyes during a very tough game, yet there was no a single scratch. I felt like Jacob is giving me not just a football gear, but a piece of his memory and a mighty talisman. My favorite brand is Under Armour football visor. I think they are very high-quality and durable. At first, I put my new gear at my suitcase, but I didn’t feel much secure about it. What if the airport staff throw my luggage and damage the visor? I knew that it was made of a strong resistant material, but damaging even a clip would be a really unpleasant outcome. So I decided to fit it in my cabin luggage. I had just a small backpack, therefore it was really hard to fit it. I managed to wrap it in my T-shirt (Jacob didn’t give me any special bag for it) and squeezed my new football visor inside. Surely, while I was passing the customs control, the officer saw something suspicious on the screen and kindly asked me to open my backpack. So I had to take out all the tightly squeezed things that I hardly put inside my bag. “Oh, it’s a tinted visor. You play football, son”, the officer smiled to me, but I became so frustrated that couldn’t answer him politely. It took me ten more minutes just to pack my stuff back. But suddenly I heard that the boarding on my plane was closing, and they called my name to proceed to the gates A5. Running and almost falling down on a wet slippery floor I finally found the right gate and in a few minutes put myself down in a comfortable airplane seat. At that time I wished I wouldn’t accept the gift from my friend that had caused me so many inconveniences. However, there was a football game in a week, and I decided to try Jacob’s lucky visor on the field. The very first minutes of the game I found myself knocked down by a huge African kid from another team, and his elbow accidentally went exactly into my left eye, cracking on the surface of the visor, but causing no damage. That day I decided that miracles happen, and talismans really exist. But there also was another thought: when you travel with your football visor, pack it wisely. Everyone needs a good vacation, even, and sometimes especially, parents. However, if you’ve got a constantly growing toddler at your side, then the idea of an enjoyable getaway may appear farfetched. Luckily, a worthwhile vacation, toddlers included, is more than possible when you’re prepared. The right knowledge and the right tools are all you need to ensure that your family takes a trip worth remembering. 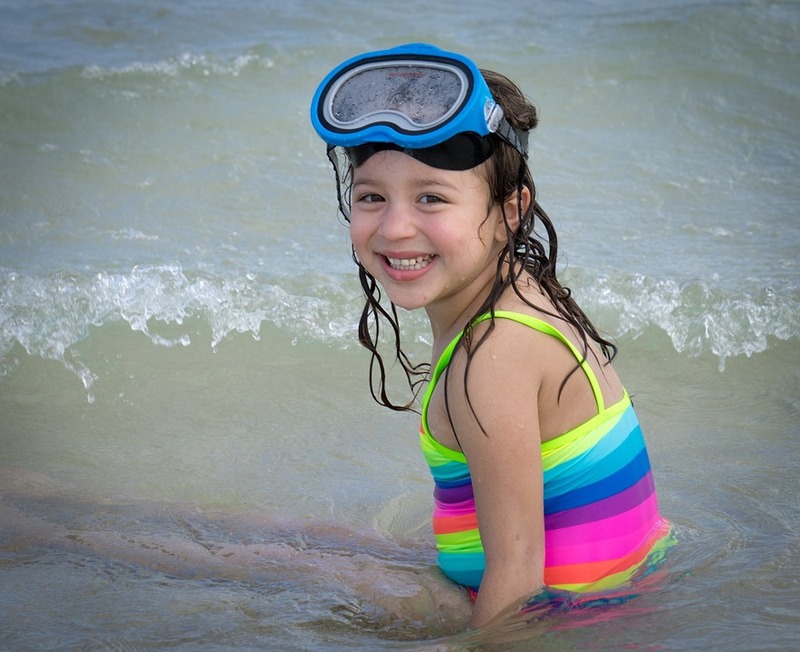 Read on to find out how you can best prepare for your first vacation with your tot. Thinking about taking your toddler along for an upcoming vacation can be a bit overwhelming for many reasons. Most parents share the same fears when considering doing so, such as wild tantrums. Nobody wants to be the parents with the uncontrollable toddler while everyone is on the beach catching a tan nor the parents who are unsuccessfully chasing their incredibly energetic three-year-old around the peaceful gardens. Worse, it is scary to imagine having to leave a highly anticipated event or missing out on a once-in-a-lifetime opportunity on your getaway because your toddler couldn’t pay attention or simply didn’t find interest in it. The easiest way to avoid each of these unfortunate possibilities, and many others, on your vacation is to consider the entire family in every plan that you make. Every restaurant that you choose, every sight that you want to see and everything in between should be determined under the premise that everyone should be satisfied. If you and your spouse would love to go to the authentic Thai spot, but your children don’t like spicy food, then this wouldn’t be the best choice because the conflict of interests wouldn’t allow any of the family the best experience. To guarantee that everyone has an enjoyable, memorable vacation, as they should, make sure to seek out kid-friendly environments and activities that the entire family can enjoy – some of which you’ll read more about later. On any trip, packing smart is very important. Bringing or preparing to purchase the proper tools on your vacation will ensure that there are no problems or unanticipated obstacles. Some items can be purchased at resorts, travel markets or other locations during your getaway. These items include large tote bags and multi-purpose bags, which can be found here and there in most stores or even online if necessary. Toddler backpacks, diaper bags and the like are incredibly helpful to parents on vacation, as they give you the flexibility of carrying everything that you need in one place, and they typically come in a variety of styles. Other items that can be found at your vacation site and are useful to have on hand include first-aid kits, travel cameras and sunscreen. Other necessities are more likely to be purchased ahead of your departure. For example, it would be a good idea to invest in a reliable stroller before your vacation so that you know if it’s up to the challenge of the trip. Make sure that it isn’t too heavy, is easy to condense and bring on the go and has sturdy wheels and belts. Additional items that you may want to bring along include toys and books for toddlers’ entertainment, car seats and disposable dishware such as sippy cups. One of the most worrisome things about bringing toddlers along for the family vacation is the idea that you’ll have to constantly attend to them. This is a normal fear; however, it can be easily resolved. By following the tips below, you can create a fun, welcoming environment suitable for the entire family’s relaxation and enjoyment. Family-friendly activities such as scavenger hunts, tours and festivals are very entertaining for children. You certainly don’t want to bring toddlers somewhere where they feel like they’re the odd ones out, and environments with other children will make things more enjoyable and comfortable for them. Furthermore, it is crucial to research the family-friendly attractions within your destination. Art galleries and museums, national or amusement parks, landmarks and the like are perfect for families and children to explore. Vacations are meant to be relaxing, fun and full of great experiences for everyone involved. Because it is easier for adults to control their own activities, it is your responsibility to do the same for your toddlers. Make sure that they feel like they’re a part of the vacation by focusing on activities and locations that the entire family can appreciate. 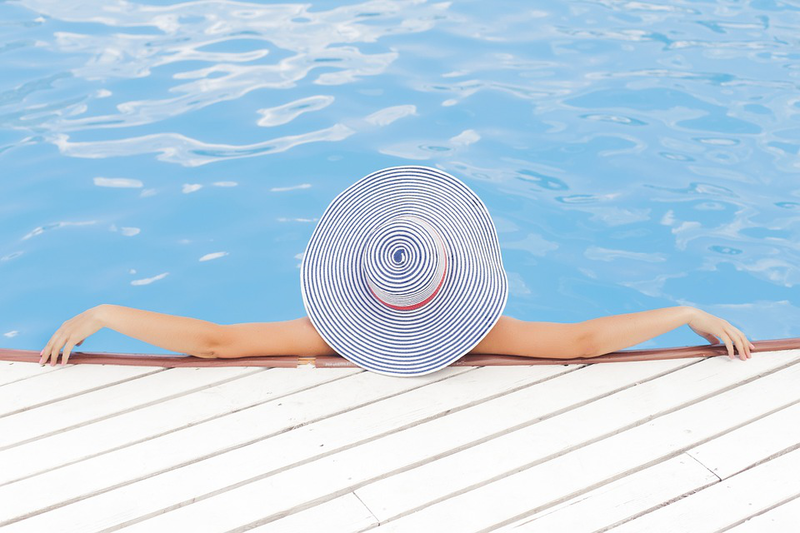 Now that you’ve got it all figured out, stop thinking and start relaxing! It is common for travel rates to soar during high season. If you choose to travel during the summer months, holidays or festive seasons, you will certainly incur high costs. On the other hand, booking a luxury holiday in the low season can be a risk in itself. 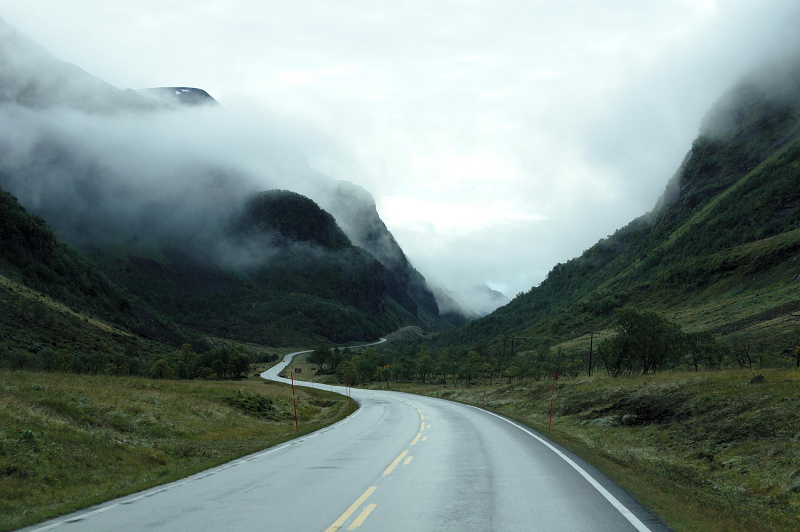 You may encounter bad weather once you have already committed to paying for the trip. However, you will avoid big crowds as well as the expenses. Around this time, hotels are also slightly cheaper. When traveling, only select the seats that are offered at a discount rate. Make the most of the special offers that are offered from time to time. This will enable you to snag a low-fare. Many airlines make special discount offers on Tuesdays, Wednesdays and Saturdays. As such, you can choose any of these three days to travel. Sometimes, airfares do not sell as quickly as anticipated and last-minute travel deals are generated. Additionally, some of the best airline credit cards can reward you with free or discounted flights. It is also important to be on the lookout for this. Choosing a luxury holiday package will provide added value to your trip. By specializing in such travel and destination products, you will get better deals for your hotel stays, flights, transfers and more. A package will also enable you to know the full cost upfront, even before you depart. In the past, traveling was always associated with staying at a hotel. However, times have changed and good home and apartment rentals are taking over the travel market. They come at affordable costs and have a comfort and convenience that you will never get in a hotel. You will not need to incur unnecessary costs such as dining and entertainment. It is advisable to book your luxury holiday with a highly reputable home apartment company. Currencies are always fluctuating. Therefore, you should choose to travel at a time when your dollar can be stretched to the limit. Understanding the currency exchange rates for the country you intend to travel to will allow you to make smart financial decisions. There are free travel apps and online tools that will enable you to keep up with currency exchange rates. With these tips, you should be able to go on that trip that you have always wanted. You no longer have an excuse for your lack of adventure. Your finances do not have to limit you when you are planning a vacation. Remember, timing is everything! Ensure that you travel only when you can get the most out of your trip.